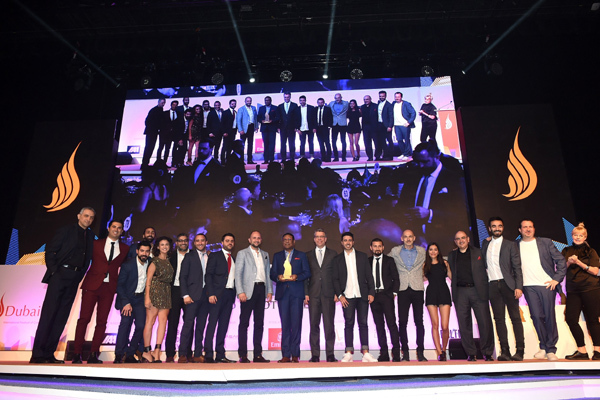 Nissan Middle East and Nissan Saudi Arabia have secured a grand total of 18 awards at Dubai Lynx, the region’s premier marketing and creative festival, recently. The honours make Nissan the most decorated brand at the event and the only automaker to receive Grand Prix and Gold awards, said a statement. The Japanese automaker received 10 recognitions for its #SheDrives campaign to engage with Saudi women as they gear up to being able to apply for driving licenses, said a statement. Another eight awards were given to its innovative Camel Power campaign that saw Nissan develop a new power metric for desert driving. Both campaigns were developed by TBWA\RAAD, it said. The #SheDrives campaign centred around a video featuring Saudi women receiving their first lesson, where their husbands, fathers and brothers surprised them as their instructors. Meanwhile, the camelpower campaign took home eight awards ranging from the Launch and Relaunch Strategy category to Promo and Activations for Durable Consumer Goods, said a statement. An adaption of the industry-standard horsepower measurement, camelpower is a new concept developed by a team of Nissan engineers to measure a vehicle’s performance on the sand, and was used to highlight the brand’s renowned desert driving line-up, including the Nissan Navara and Nissan Patrol models, it said. The camelpower metric is calculated by multiplying the velocity by the projection of the weight over the same trajectory, it added.